“Happy New Year,” says a smiling young girl to a drunken stranger. “And you,” the stranger replies before asking “what year is this?” “2005, January the first” she says. “I bet you’re going to have a really great year,” says the Doctor to his long-time friend and companion. In 2005 a legend returned to the screen. A Time Lord, from the planet Gallifrey, entered his TARDIS and travelled about Space and Time. Russell T. Davies was responsible for “regenerating” this long-dead mythos for television. After cancellation in 1989 and a failed attempt in 1996, it was long thought in the fan community that Doctor Who would never rise again. The first story of this new Doctor’s journeys was titled “Rose” and followed a girl of only eighteen years, working and living a dead-end life waiting, hoping. Chance seemed to bless her as she found an alien in a jumper and leather jacket. He found comfort in this companion, and love, something he thought near-impossible, since the genocide of his species, at his own hand. The Doctor has rarely been alone. Starting from his escape from Gallifrey (“An Unearthly Child” 1963), he took along his Granddaughter, Susan. Now he had with him a young woman who, though simplistic, was able to challenge him in many ways. His companions during Eccelston’s and Tennant’s tenures were always there for a singular role, to keep him in check, to make sure that The Doctor understood humanity and didn’t let his extreme power dictate his actions. Over time these companions have left him, alone and lost. Rose was trapped, out of touch and out of reach; Martha couldn’t stand the emotional chaos of loving someone who couldn’t stand to love; Captain Jack was abandoned, only to spend hundreds of years searching for The Doctor; Sarah Jane’s reconnection to The Doctor, finally, found her accepting that the past was the past; and Donna, well, Donna was his equal, but could never live to her potential again. So The Doctor wandered, alone, and lived a solitary life only to have his future death foreseen, maybe he just picked up any newspaper in the UK. 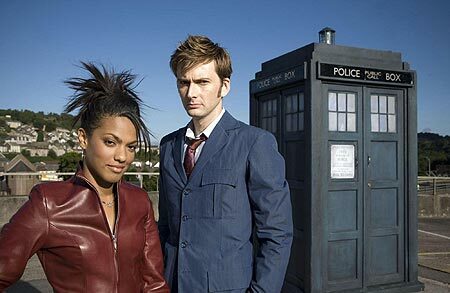 “The End of Time” is David Tennant’s final adventure, after a solid goodbye having aired over a year ago. “Journey’s End” saw all of David Tennant’s companions teaming up to save humanity, and save The Doctor. It seems that Russell T. Davies shot his load a tad bit too early. His death was a certainty, and the audience was treated to three final stories which only seemed to serve the purpose of showing the world that Michelle Ryan is hot and has a nice bum… oh, you knew I would put a still in here! 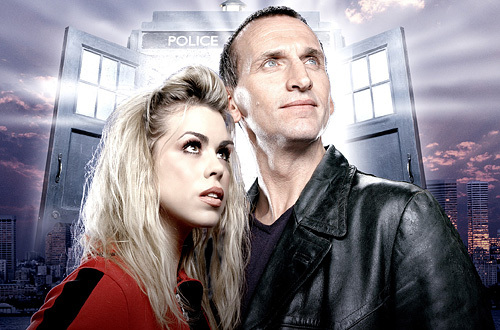 “The End of Time” is a perfect example of what’s good and bad about Russell T. Davies-era Who. The absurd plots, there’s very little resolution, and his frequent use of the reset-switch all make the franchise less and less enticing. What purpose was the Time Lords’ return? What purpose did it serve to have the Ood? Seriously? The Master making all of Earth’s population carbon copies of himself? All of it disappearing within a fraction of a second, and a silly cover story to explain another planet nearly crashing into Earth… again? Why didn’t Donna’s brain explode? How this story succeeds is in the interpersonal relationships that have been fostered since 2005. 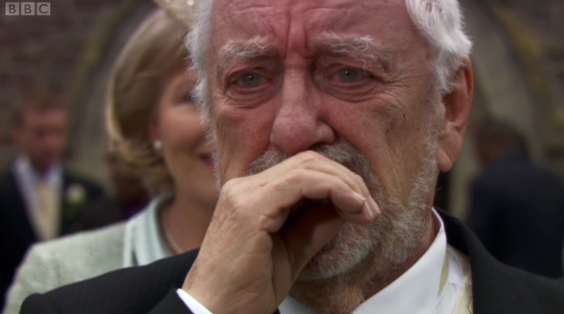 Particularly the relationship between Wilf (Donna’s Grandfather) and The Doctor. As they sit in a café and discuss The Doctor’s impending death, the performances of the two actors is absolutely wonderful, and they reprise it again in part two… twice, both when The Doctor sacrifices himself for Wilf, and when they meet a final time. This is the crux of the episode, from his relationship with Wilf, to his confrontation with Verity Newman (named after creator Sydney Newman and original producer Verity Lambert), to his final goodbye to Rose, this is The Doctor’s last hoorah, this is The Doctor’s swansong, and he must say goodbye (once again) to those who were part of the life of the Tenth Doctor. And so, in the final minutes of “The End of Time,” The Doctor regenerates one more time, defiantly proclaiming, “I don’t want to go” as his body fails him, and a new life is born. We, the audience, see a new energy, an energy that seems to have been lost from Doctor Who over the past year or so, as we waited for the farewell, we finally have a Doctor with life. Matt Smith’s initial minute as the post-regenerative Doctor tells us nothing but gives us hope. Why so hopeful? Well, have you seen any of the stories that Steven Moffat wrote? “Blink,” “The Girl in the Fireplace,” “Silence in the Library” or even his sitcom Coupling? You’d know that Moffat has written the best episodes of Doctor Who, perhaps of all time. He’s not so interested in the absurd storylines, instead his focus is on good horror, good comedy, good tear-jerking stories. It’s time for new life as Matt Smith and Karen Gillan take the adventures of the Doctor and his companions into this new decade. 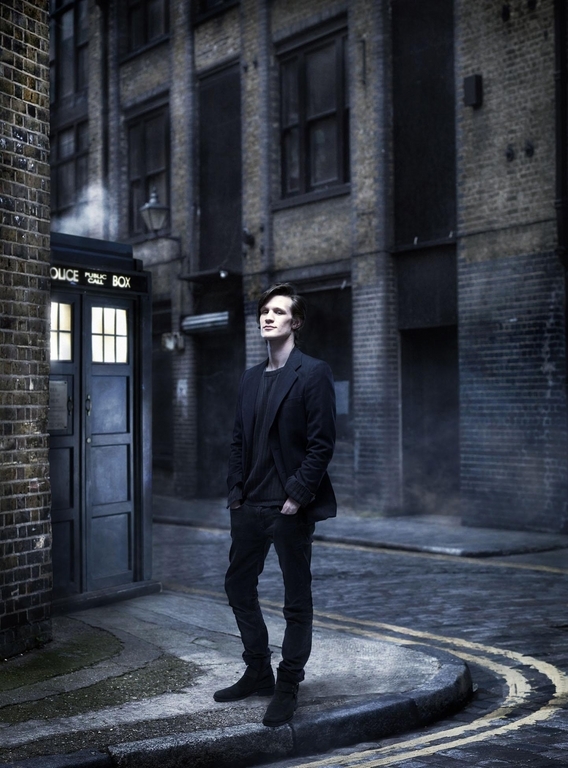 Goodbye Tennant, Hello Smith. Farewell Davies, Welcome Moffat.